For Fr Halim, a former provincial, the situation in Syria is getting worse. "Villages are empty. In Aleppo and the along the Orontes, hundreds of thousands of people have been surviving for months with no electricity, water, and gas. Those who flee are resigned never to return. Our brothers are working every day with them, regardless of faith, to convince them to stay." 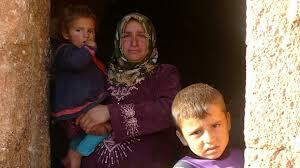 Beirut - "The war in Syria is driving thousands of people away from their homes and out of the country. Most of the people displaced in the country or refugees outside do not think they will ever be able to go back to their villages. Those who fled to Lebanon are trying to make their way to Europe or to other countries. Thanks to donations, we hope to convince Syrians to stay. Syria, the cradle of Christianity and a symbol of unity between Christians and Muslims, could disappear," said Fr Halim, a missionary with the Franciscan Custody of the Holy Land and a former provincial of Syria. Speaking to AsiaNews, the clergyman called on Christians to heed the appeal made by ATS pro Terra Sancta, the NGO of the Custody, in favour of the civilian population because the situation is becoming increasingly difficult for Christians and the entire population. In places like Aleppo and the mountains along the Orontes, residents no longer have water, electricity, and gas and are likely to die of hunger. Even his confrères are unable to communicate with the outside world, the priest said, and have to share the tragic experience with the people. "Our brothers," he noted, "work every day with these people, regardless of religion, to help them in economic and spiritual matters. Franciscans are not into politics. They help needy families, who lost everything, inside and outside Syria, giving shelter to the homeless in convents." Despite the war, bombing and threats from Muslim extremists, 11 Franciscan friars have chosen to remain in Syria to take care of the population in Aleppo, Damascus, Azizieh, Latakiyah and Kanyeh. "Syria is a touchy issue and civilians are helpless in front of the ferocity of what is happening," said Fr Pizzaballa, Custos of the Holy Land, in launching the initiative. "In addition to prayer I ask all those who can to send help. Not basic supplies-this will not help since they won't be able to enter the country-but money to buy (if need be on the "unofficial" market) whatever is necessary to allow countless families to survive, particularly the poorest ones." Description of payment: Syria Emergency.